The mountains call professional snowboarder Kimmy Fasani, and she’s really good at listening. 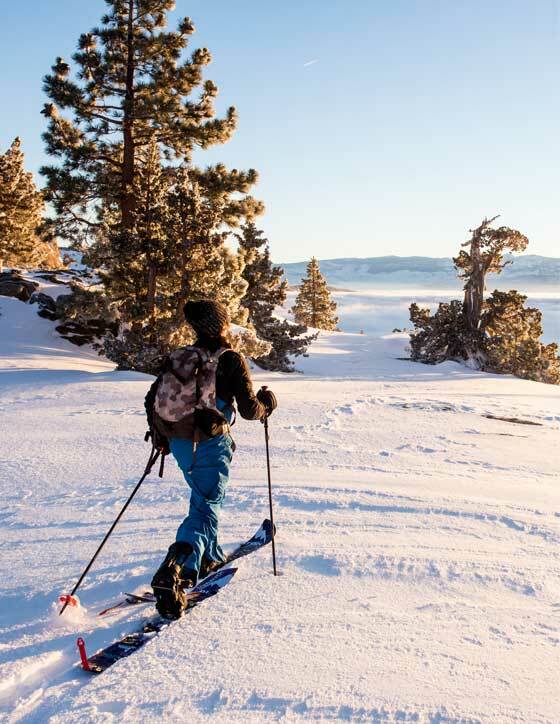 Ever since she was a girl growing up in Truckee, California, near Lake Tahoe, she says she saw “the potential” of winter adventure. “It’s amazing to be out in the elements and see how the mountains come to life,” she says. What is it about winter that you love? For me, winter is the excitement of the unknown. Every winter is different. It’s a season that, for some reason, my soul just connects to. I love bundling up and heading into the mountains for an adventure. How does your life revolve around winter? My husband and I…Our lives revolve around winter; our sense of enjoyment is just outdoors-focused. When winter hits, we’re both on the road, trying to find where winter is best. It’s all about the connection, keeping your mind and body connected to the mountain year-round. I love trail running, but it’s a means to an end. I want to see the terrain I want to ride in the winter. It’s about route-finding and terrain selection in the off-season. In the winter, it becomes this action where you want to put all the pieces together. How has it been living out of the Sprinter van? Chris and his friend did the whole conversion — all eco, non-toxic interior. Chris is doing a more local base series where he’s driving from California to Alaska, called “Chasing adVANture.” It’s been a really cool project, an amazing adventure. My mom owned two or three Westfalias when I was growing up. It really connects the dots for me. So much of my youth was her and I in a van; it’s been fun to see Chris pull that passion out. Do you eat differently in the winter? I do, actually. I burn so many more calories in the winter. I really notice that I have to up my intake throughout the day. I always have CLIF Bars in my pocket. 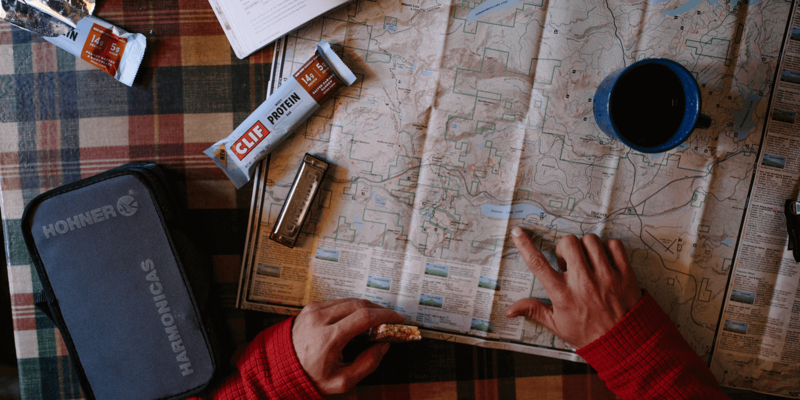 I’ll go through two to three different bars a day, and if I’m hiking a lot, I’ll go through two or three packs of CLIF BLOKS. I’ll have a big, green smoothie in the morning, maybe some oatmeal with peanut butter in it, and dinner is pretty big in the winter, untypical for me in the summer. I definitely notice that I need more energy in the winter. What’s the best way to soak up as much winter as possible? I would say for me to soak up as much winter as possible, I celebrate opening day at Mammoth. As long as I’m in Mammoth I’m always on the hill for a couple hours. I think really spending the time out in nature is imperative to our health, and also to our sanity. I like hiking around, snowshoeing, split boarding, the amount of enjoyment you get earning your turns. It’s really sustaining, you just want to keep going to see how far you can go, especially if you have a good crew. Staying safe together, taking on the mountains, and seeing how far you can go is such a freeing way to experience winter. How has it been filming “Absinthe”? It’s been such an amazing experience filming with that crew. 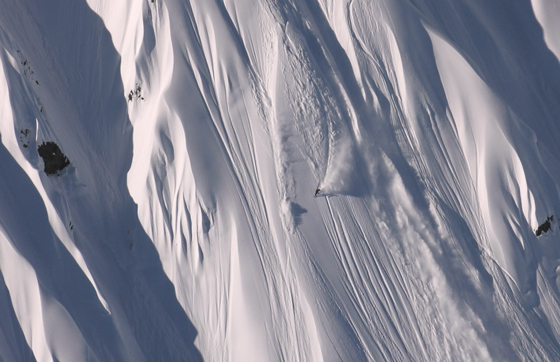 It’s such a well-rounded crew of riders who have been in the mountains for a long time, and some underdogs. It’s been amazing to try to stand out as a woman and also push myself among the men. They were really pushing me last year beyond my normal comfort limits, to see what that big picture looks like trusting myself and my limits, making my call on lines, the whole follow-through…What we put our minds to can be done.